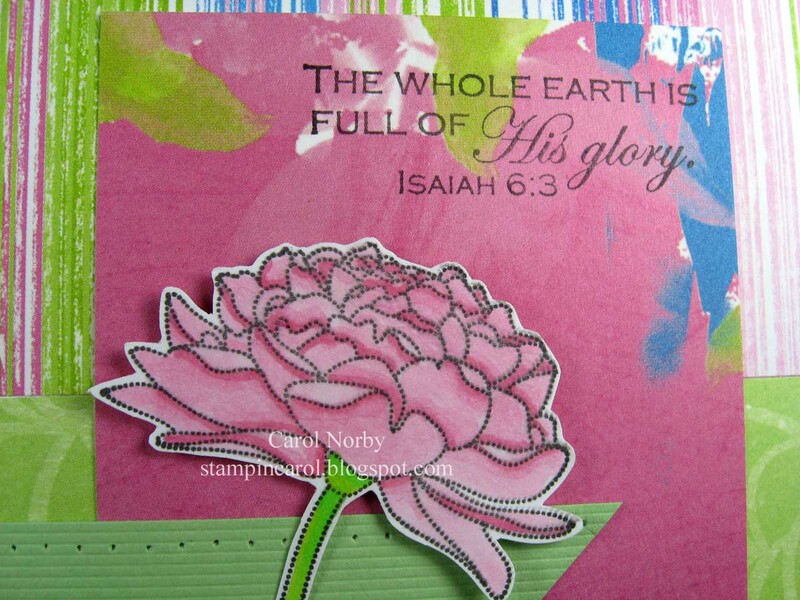 This peony and text is from a The Angel Co. set called Dotted Peony. The paper is also from TAC (and it's almost all gone). 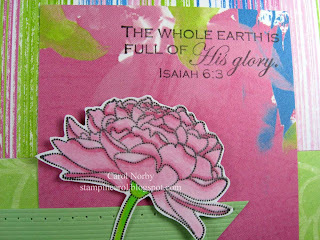 I colored the peony with Copic markers. You can see in this pic that I pierced the green chevron for a bit more embellishment. 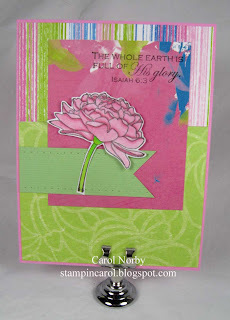 I seen this sketch design recently as I was blurfing (blog surfing) and used it for this card. Well, now that you have enjoyed my touch of spring check out OWH (click on their name above to go to their site) and check out more spring flower! Hi Carol, Your card is lovely, I love the peony and your layout is perfect for it. I enjoyed reading your post too. I'm in Arizona too and I know you know that. My grandparents lived in Cody WYO and I've been to Red Lodge MT lots of times too. Funny how lives parallel.